In all cases, teams are made up of age-appropriate students, one or more adult mentors, and various parent/adult volunteers. Most teams will have around 10 students with 2 adults working as mentors and guides. These adults can be parents, teachers, or other appropriate community volunteers. Students can come from public or private schools or homeschool groups. Once you decide to start a robotics club, you may want to consider the various national competitions that are available to student teams. Joining a competition will help to unify your team around a common goal. In addition, these competitions often offer planning, mentoring, and curriculum to help you on your way. There are many national competitions, but the big three are FIRST Competitions, the VEX Robotics Competitions, and the BEST Robotics Competition. FIRST stands for For Inspiration and Recognition of Science and Technology and sponsors several competitions for various age levels from Kindergarten through 12th grade. The most popular of these competitions is the FIRST Robotics Competition for high school students. 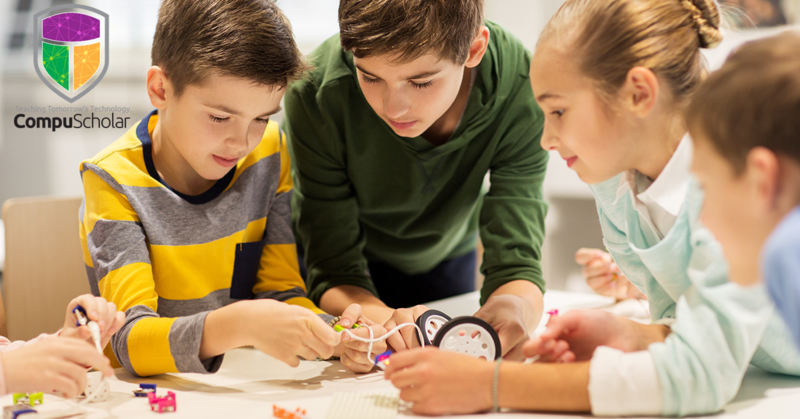 Each year, teams of students with coaches and mentors work during a 6-week period to build game-playing robots that compete with teams in regional, district, and national competitions. Teams that sign up for the competition are given a Kit of Parts which consists of an array of components to get started with a robot. Teams will then add additional parts as needed in accordance with the published game rules. The latest competition, called Power Up, is a live-action version of an arcade game, where teams use their robots to move power cubes around the game of play. Student teams compete in Regional Competitions, then move on to District Qualifying Competitions, and then District Championships before the main event: the FIRST Championship. The FIRST Championship is the culmination of the FIRST Robotics Competition competition season and occurs in late April each year. There are two FIRST Championships: the Northeast Championship in Detroit, MI and the Southwest Championship in Houston, TX. Costs for the FIRST competitions run about $5000 - $6000 per team. This includes at least 10 students, 1 - 2 teachers or mentors, and other adults as needed. Local and regional competitions are held throughout the winter. In the spring they hold a single competition in Kentucky to crown the World Champions in all divisions. Although not as old as the FIRST competitions, the VEX competitions have been growing rapidly. In fact, the 2016 VEX Robotic World Championship was named the largest robotics championship in the world by the Guinness World Records. The current competition, called In the Zone is played on a 12’ square field with objects that look like traffic cones. There are two alliances—one red and one blue—composed of two teams each. The object of the game is to attain a higher score than the opposing alliance by stacking cones on goal posts, scoring mobile goals in goal zones, and having the highest stacks in the field. Teams may only used approved VEX Robotic parts to build their robots. A list of approved parts is included with all competition materials. Costs for these parts can easily exceed $1000 per team. Other costs will include competition fees (usually around $50 - $100 per competition) and travel expenses. The final robotics competition is also one of the oldest—the BEST Robotics Competition. BEST (Boosting Engineering Science and Technology) Robotics is a middle and high school robotics competition whose mission is to engage and excite students about engineering, science, and technology as well as inspire them to pursue careers in these fields. BEST is a national six-week robotics competition in the United States held each fall. Competitors start at a local level and then move on to regional and national championships. Like the other competitions, teams may be made of groups of students from any school or homeschool organization. However, the cost for the BEST competition is much more palatable. All equipment and materials needed for your robots are provided to qualifying groups at no cost at all! This fact alone makes this competition one of the easiest to enter for new robotics clubs. So what do you get for free? It varies from year-to-year, but typically includes items like: plywood, PVC pipe, screws, piano wire, bicycle inner tubes, and a basic controller system. Your students will then have 6 weeks to build a functioning, competitive robot. The current competition involves robots built to rescue a fire test mannequin, protect and contain dangerous chemicals, and extinguishing flames during a three minute match. If you are interested in the FIRST or VEX Robotics competitions, you may be put off by the relatively steep costs. However, there are many ways to lower this cost. Both of these competitions offer scholarships and grants to worthy robotics teams. In addition, they offer advice on securing local sponsorships for your teams. 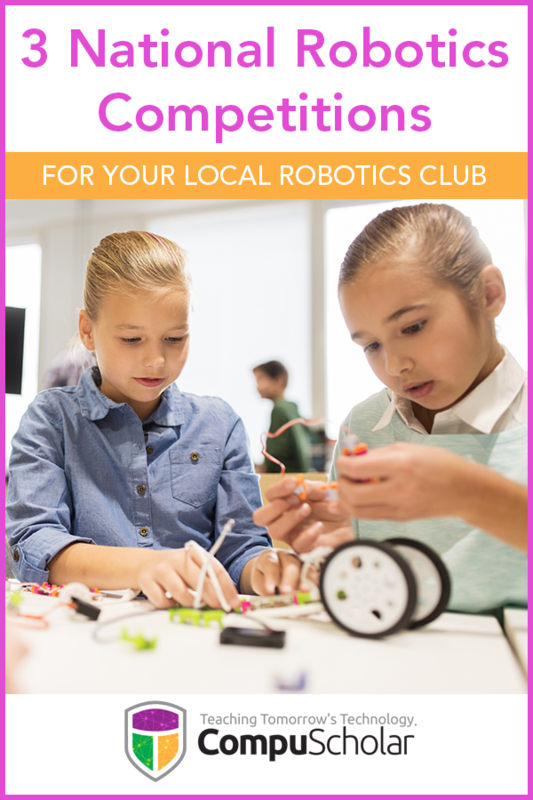 You might be surprised how many local businesses would be happy to sponsor your club in exchange for a sticker or advertising on your shiny new bot! Local sponsorships will not only help to pay for the costs of the robotics, but can also foster local goodwill and community involvement.